Treat yourself to a chic night away at the stylish Harbour Hotel. 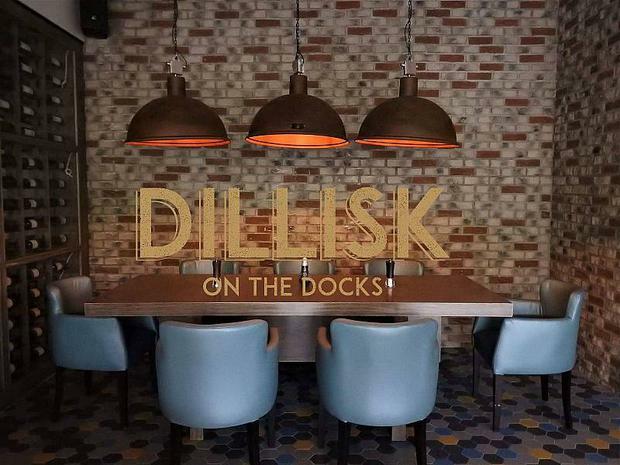 From the moment you enter the inviting surroundings at the newly redesigned bar and restaurant, the Dillisk on the Docks experience begins. Earth-toned covered walls, dramatic lighting and the warm tans of the tufted leather banquettes are a gentle complement to the subdued red-shaded sconces, elegant gold draping and spirited red, yellow, and tan carpeting that surround Dillisk on the Docks. The relaxed atmosphere of the restaurant is also a place to sit back with Dillisk on the Docks innovative cocktails and extensive wine list not forgetting their selection of gins, whiskeys and spirits. The bar, with its stylishly rustic decor, comfortable furnishings, muted lighting, and blend of soft and vibrant colours is a sizeable sleek bar surrounded by conversation tables and pockets of inviting living room seating. 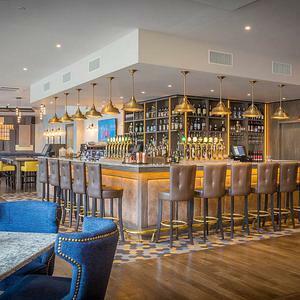 To celebrate the launch of THEVOW.ie, we've teamed up with Dillisk on the Docks and the Harbour Hotel in Galway to offer one lucky reader a chance to win one night B&B and dinner and a round of cocktails for two at the stylish setting. To be in with a chance of winning this chic city escape, head over to Facebook page where you can find all the details! Competition closes at noon on Tuesday August 29th. Only one winner will be chosen at random. No cash prize alternative.